This plant is native to islands of the Indian Ocean, including Madagascar and Mauritius. In its native habitat, it may grow up to 6 meters in height. It is widely used in traditional medicine, although its benefits are not proven. 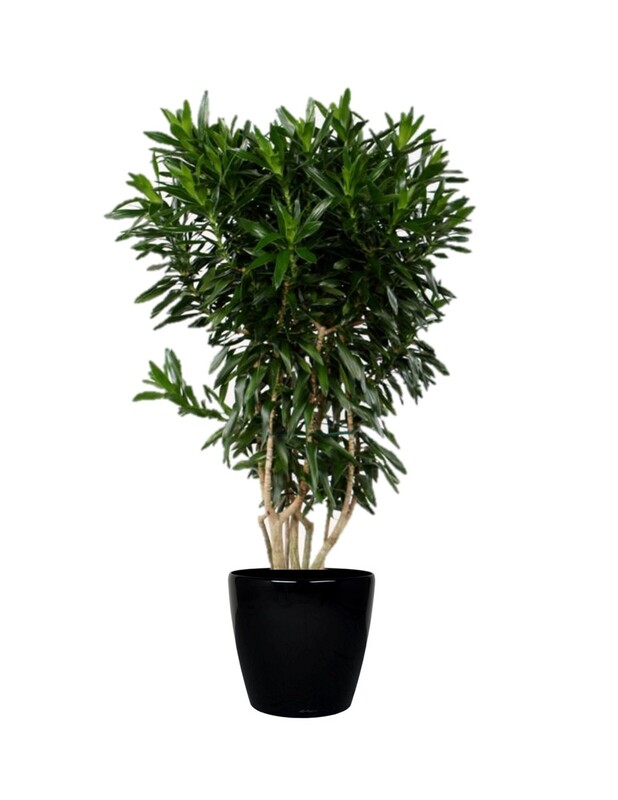 For use as a tropical office plant, the Dracaena reflexa is available in many sizes, from table-top to large floor plants up to 10ft in height. It prefers bright, indirect light, but can tolerate lower light levels. The Dracaena reflexa should not be kept too wet; allow the soil to dry out a bit before watering. The roots will rot easily, so well-drained soil is important. Fertilize monthly during the spring, summer and fall. Prune regularly to keep it tidy and to encourage new growth.